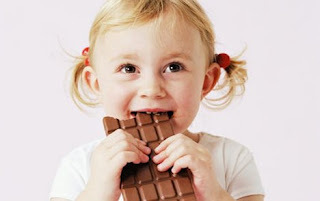 Genomics, Medicine, and Pseudoscience: Eat more chocolate! Lose weight! well i love chocolate... so thumbs up from me! another review site http://loseweight2weeks.co suggest various other eating tips as well as reviewing the various exercise programs available. i lost 40 lbs by following their advice. very informative as well. What do you call a chocolate bunny with no ears? I like to start with the ears too :-). Even if the people answered truthfully and accurately, it still would not prove anything because the study is not a randomized controlled trial. It is quite possible that people who eat different amounts of chocolate differ in other ways that impact BMI and even if you try to correct for the differences you can never be sure that there is not residual confounding. It is also possible that people with higher BMI refrain from eating as much chocolate because they are trying to manage their weight. I was so excited when I started this article, I had to get some chocolate ice cream right away, and I dont like chocolate that much to begin with... so I read the whole article while I ate my ice cream. It sure was good! It tasted the same when it was good for me, and when it was bad for me! I need to report that if I must eat ice cream, however, to lower my body mass, I prefer strawberry. Ill be the first one to admit I am probably eating too little as I am still gaining weight.